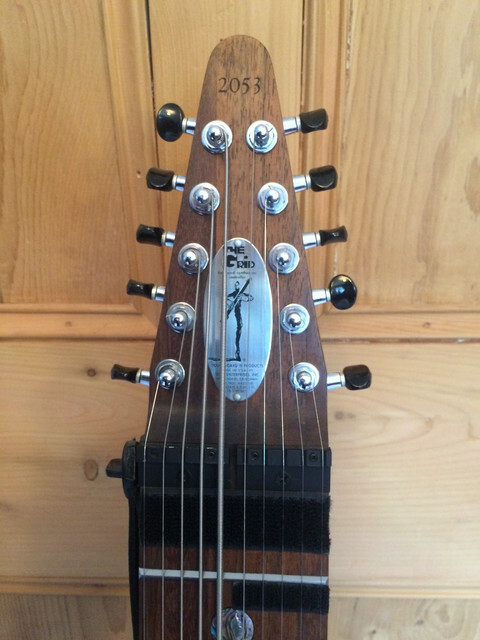 I'm selling my Chapman Stick #2053 as I don't play it any more. 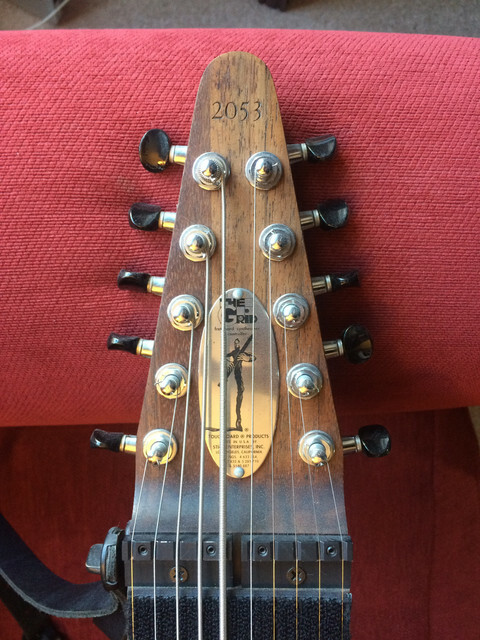 This is instrument #2053 which has had one previous owner before me. The previous owner ordered it new from Stick Enterprises in June 2001 (I still have his original receipt), so I'm not sure if it was made and delivered in 2001 or 2002. I bought it from him in 2003. Since then it has been used lightly at home, and not used at all for the past 5 or so years. Condition of this instrument is good as I’ve hardly used it. 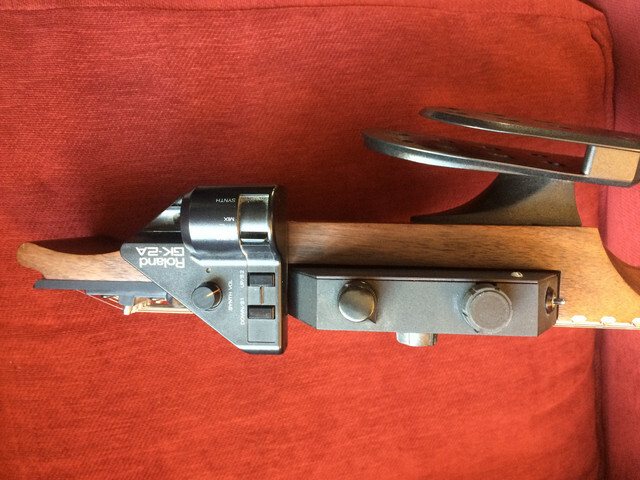 A couple of the switches on the PASV-4 are slightly crackly when turning them, but could probably be sorted with a blast of an air cleaner or similar. Everything is working, although I can’t demo the MIDI module as I no longer have an interface or cable for that. I'm afraid I won't be shipping this, as I'd like the buyer to try it out first. Potential buyers are welcome to come and try it out. I'm in north Wales. Selling all of the above for £1100. I'm afraid I won't be shipping this, as I'd like the buyer to try it out first. Potential buyers are welcome to come and try it out. That part seemed to have gone missing. Edited original post to add. Wow, don't see them up for sale very often. I spent about 2 years trying to find one many years ago. Mine retired to the loft about 8 years ago, I keep thinking that I should have a go again. I'd never sell mine, fascinating instruments. 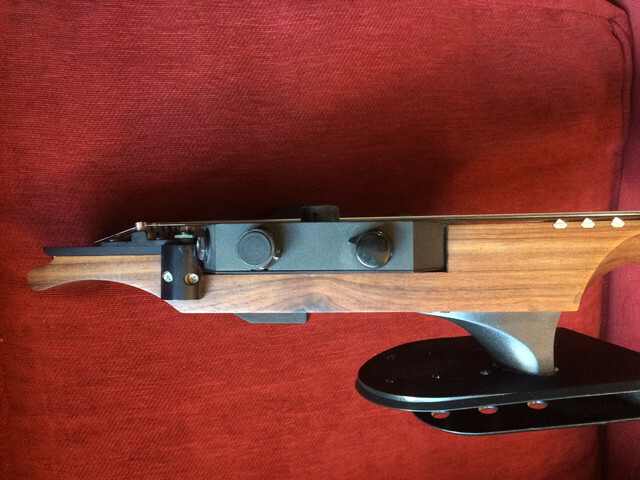 This is one of the better models, the rail frets are an improvement and the flaps allow for better setup at the nut end. Certainly looks prettier than my polycarbonate example. I can’t demo the MIDI module as I no longer have an interface or cable for that. Would you object to a potential buyer bringing his or her own 13-pin cable and sound module? Interesting but not financially realistic for me at the mo'. Sorry. THINKS: This listing might get a better response in the Basses £ area. 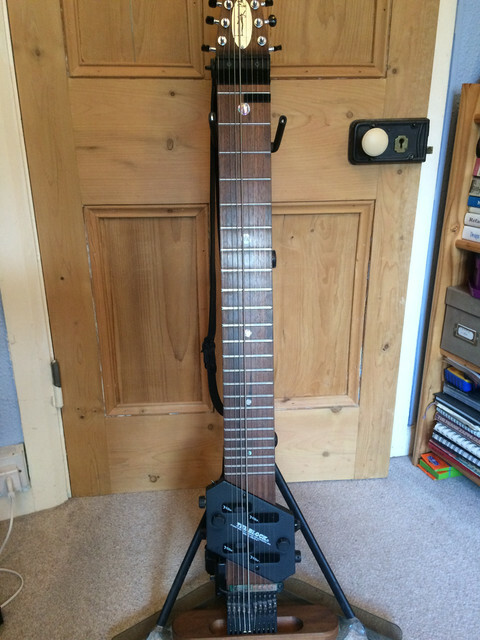 OK, I've moved it to Basses £, thanks for the interest and the suggestion. @georgepricebass Hi George, yes it's still available. DM me if you are interested. Interesting. Which woods is it made from? Sold! Thanks George, it was great meeting you! The body is Ash and the neck is Bamboo and that's pretty much it! Thanks Phil, better get to work on it! Great to meet you too! All the best! Here's day 1, for those interested in where the Stick ended up! See you in shed, I've never played one before! Keep Sticking it to the man! Despite having owned a polycarbonate Grid for years, I am still not very good at the two-handed pianistic stuff. 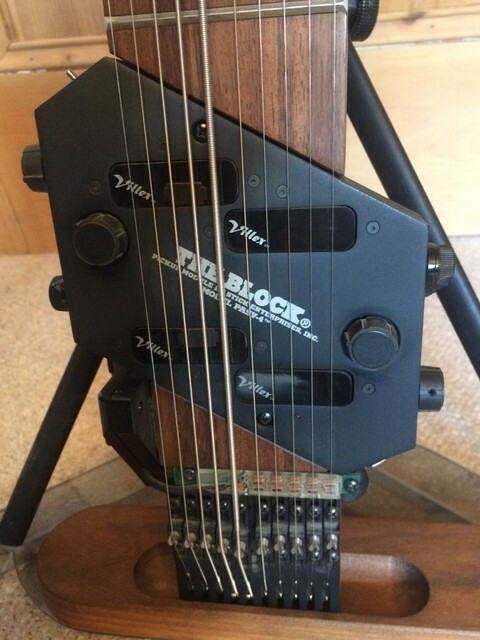 I either play two-handed bass on the low register strings or trigger a Roland VG-99 from the melody strings. So Instagram flips the video, I never realised until you and a few others mentioned it...! I’m playing right handed though! I’ve tested out the midi whilst at my parents and it’s pretty epic! It tracks well! 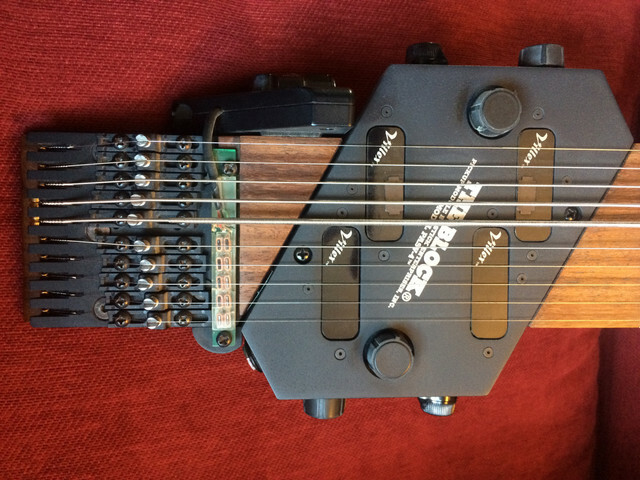 The two handed simultaneous tapping is something I need to work on but this instrument is forcing me to work on that! The tuning is currently classic but I’m just wary of falling into the trap of sounding that most stick players so we will see how far I get! It’s going to be a fun exploration exercise! Great! Good to hear that the MIDI unit still works. I used to have a Roland MIDI interface box thingy but I lost interest in the MIDI side of the Stick after about 5 minutes so I sold the interface box.